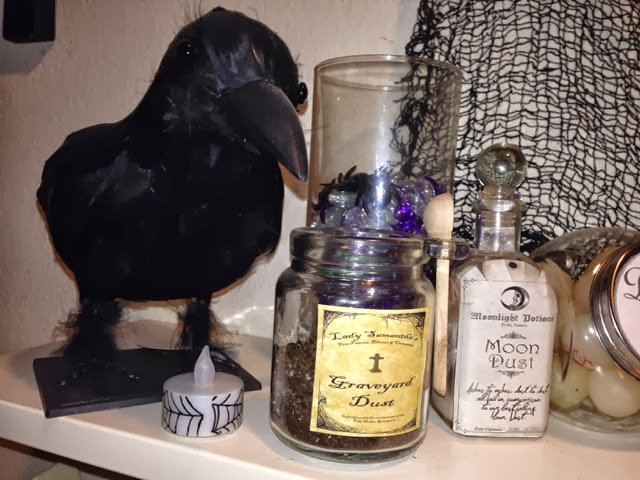 Midwest Moma Blog: Halloween Mantel! Now that my children are older and my daughter LOVES zombies (thank you Walking Dead! 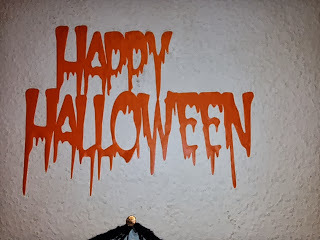 ), I can get a little more scary and spooky with my decor! You can view my post on the jars here: My Jars! 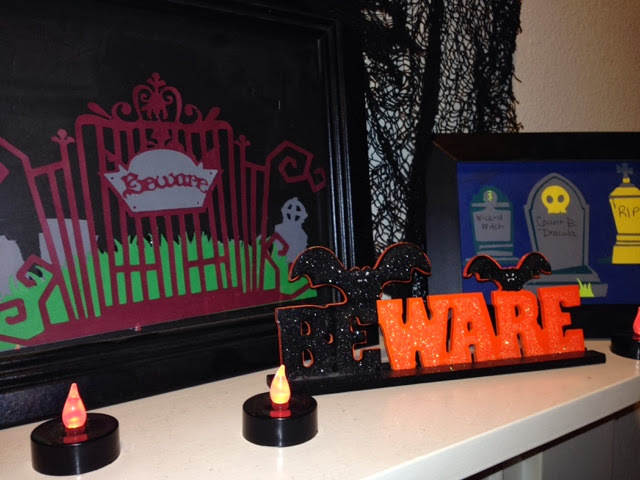 The frames were made with my Cricut Cartridge "Happy Hauntings" and there are many more cuts I want to try! The 8x10 is the "graveyard" cut at 6" tall. The tombstones are individuals at 3" and 4". I had to hand write the lettering because the cuts just didn't work out for this. I think I need to replace my blade...not sure tho. I bought the crow and material hanging on the wall at Walmart. I found the glitter foam bats at Micheal's. The spiderweb tea lights I found at Target in two packs for a dollar. The "beware" sign also came from Target in their dollar section at the front of the store. "Happy Halloween" is another Cricut cut from the "Happy Hauntings" cartridge. This was manipulated in the Craft Room software to just under 8" wide. I used vinyl I bought from Pick Your Plum and it comes 8" wide. I hope you enjoy the mantel as much as my kids do....the boys like to take the jars down and pretend to make spells....quite humorous if you ask me :).